As you guys know, I love to make lists. 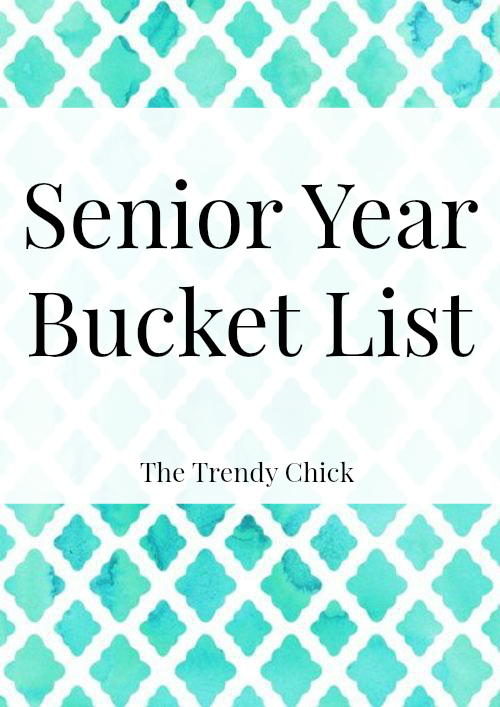 Specifically bucket lists because they keep me on track and I always end up doing more fun things if I think “Well, I might as well do this because it was on my bucket list.” I was so proud of how much I crossed off of this past summers list, so I decided to come up with a senior year list! Some of these things aren’t exactly your typical bucket list items, but they are things I hope to accomplish by the end of senior year! 2. Get a dress I love for Homecoming and go have fun! 17. Get a dress I love for prom and go to prom! That is all I have so far, but I will tweet about it if I add anymore and cross things off as I do things! What else should I add? Tell me in the comments! Here are a few pictures of stuff I have completed from the list! A behind the scenes from senior pictures!